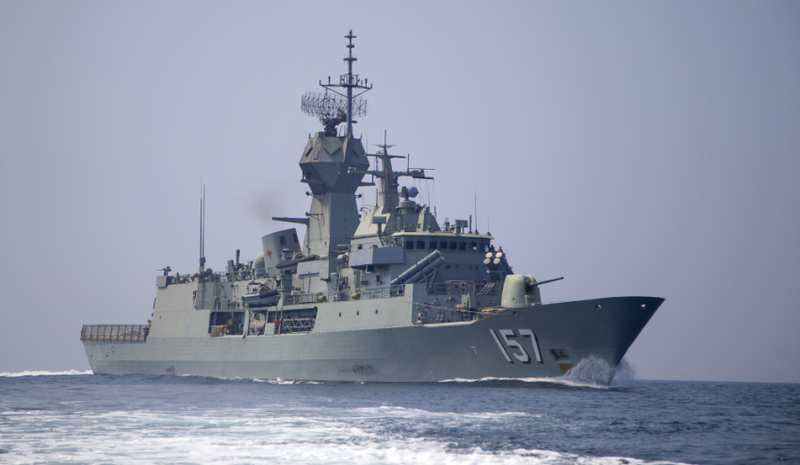 HMAS Perth, one of the Anzac class frigates to be replaced under the SEA 5000 program. Image via Commonwealth of Australia, Department of Defence. On the back of the surprising SEA1180 Offshore Patrol Vessel decision, Defence may backflip on its decision to not mandate the use of ASC Shipbuilding or existing shipbuilding workforces on the Future Frigates Program. ASC Shipbuilding CEO Mark Lamarre spoke with Defence Connect about the $35 billion SEA5000 project and said the organisation’s initial fears of missing out on a role in the project have dissipated. Lamarre said the government’s decision to have ASC build the first two of 12 OPVs in South Australia, with the remaining 10 to be built by Austal and Civmec in Western Australia, has seen a change in dialogue with the three companies bidding for the SEA5000 project – BAE Systems, Fincantieri and Navantia. “We were concerned when the [SEA5000] request for tender became public, with some of what we read there and since that time there's been a bit of change with the dialogue that we've had with the Future Frigate designers,” explained Lamarre. ASC’s contribution to the Future Frigates Program has been far from assured, with Labor senator Kim Carr and Nick Xenophon's team of senators furiously lobbying the government for several months to go against the request for tender, which had no requirement for the use of an Australian shipbuilder. "In particular, the Commonwealth is not mandating that the successful tenderer uses the workforce of ASC Shipbuilding Pty Ltd currently working on the AWD Program," the request for tender (RFT) reads. At a Senate hearing into the future of Australia’s shipbuilding industry earlier this year, Lamarre and Austal chief executive David Singleton said the release of the SEA5000 RFT resulted in an abrupt change in both of the company's engagement with all three international contenders. Defence Industry Minister Christopher Pyne also floated the possibility of ASC building the Future Frigates while at the shipyard to unveil a new jobs and scholarships package. "They [the frigates] will be built by either Fincantieri, BAE or Navantia, they will be the prime in the project and they will use whatever subcontractors that they wish to use, whether it's Austal, or Civmec or ASC and the workforces involved in those businesses, or indeed any new players. "The idea that there will be anybody other than ASC, Austal or Civmec being used is quite frankly mad." Officials from the Department of Defence, including Minister Pyne, Deputy Secretary Capability Acquisition and Sustainment Group Kim Gillis and Associate Secretary to the Department of Defence Brendan Sargeant, have previously said any changes to the SEA5000 Future Frigate project at this stage of the tender evaluation process would cause delays to the project by up to two years. Senator Rex Patrick of the Nick Xenophon Team shot down these suggestions, saying the decision to include ASC, Austal and Civmec in the SEA1180 project "puts a lie to the federal government's claims". "The final shipbuilding configuration announced... which is different, proves the government can change tack even very late in the piece to give Australian shipbuilders a prime role," said Patrick. "There is now no excuse for the government to maintain its stubborn course to not allow Austal and ASC to play leading roles with the Future Frigate build. "If the government doesn't stand up for Australian shipbuilding and create a sovereign capability, it will undermine national security and compromise export markets and, in the process, cost thousands of local jobs and billions of dollars in economic activity." The nine vessels, to be designed by either BAE Systems, Fincantieri or Navantia, are scheduled to begin construction in Adelaide in 2020. A decision on the successful tenderer is expected by April next year. The nine new anti-submarine warfare frigates will replace Australia's Anzac frigate fleet.